It’s so early…I almost couldn’t remember how to spell good-morning. Sheesh! Maybe I’ve just never had to spell it before? Not sure. Too early. It can be very exciting to be so full of ideas that you can’t get back to sleep…it can also be very inconvenient. Thank god I don’t work until 4pm…so really it doesn’t matter if I’m awake so damn early. When Shawn left for work at 4:45am, I just couldn’t get back to sleep! I keep feeling like I absolutely need to get up out of bed and get to work!! I haven’t made anything since last week, which is bothersome to me. This is a good sign! I haven’t really felt this way since my grad. show two years ago. 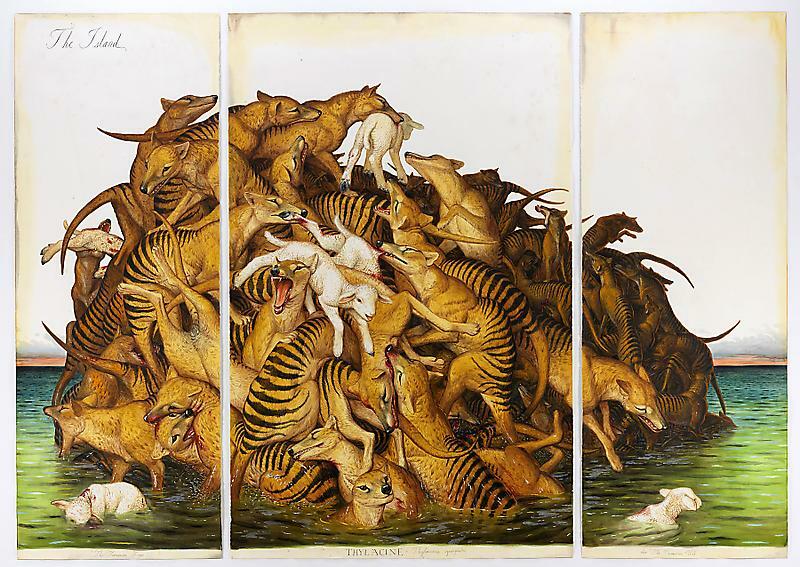 When I woke up I was thinking about an artist I saw on an Art 21 episode who was inspired by taxidermy. I got up out of bed and scoured the internet trying to find out his name! I finally did. 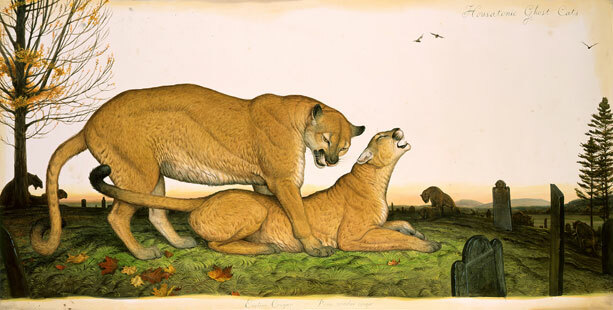 Walton Ford. 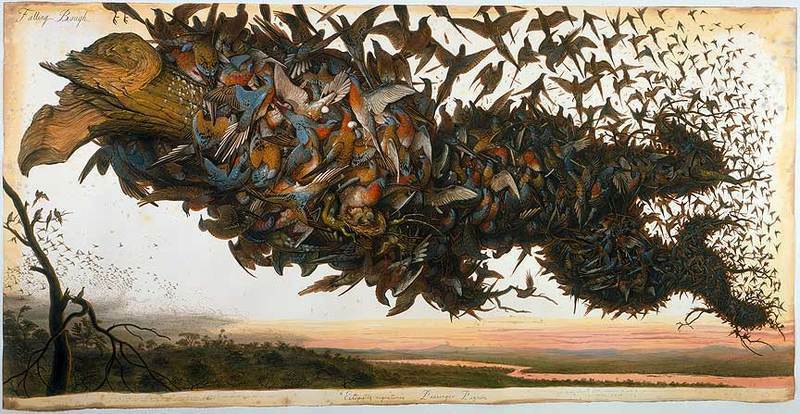 He does these amazingly Audubon-ish watercolours. I was thinking last week that I’d like to buy a little cheap set of watercolours and some nice paper, and now I think I will try it out. I think watercolours have sort of a bum rap! We’ll see what happens. Chances are I will have to spend all day in bed either reading or watching art 21’s because my back feels like it is about to give up on life at any second. 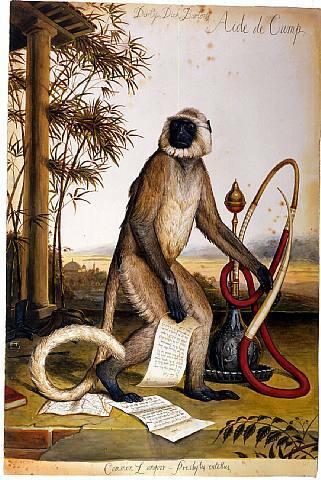 It hurts to sit, it hurts to stand….so it’s robax time, and hopefully I will recover by the time I have to go to work! 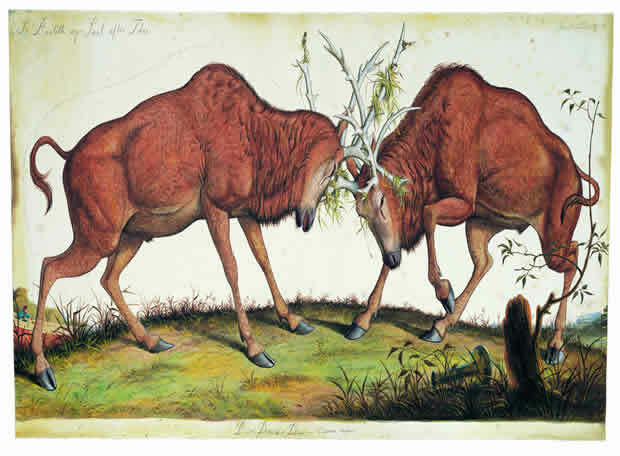 For now, here are some lovely drawings by Walton Ford. Please Enjoy! And if you haven’t yet…you should get to the library and see if you can get a hold of some art 21 seasons. It’s a great show!